You want the 19th Amendment to make Wimpy Wicks the Prime Minister. The people of this country desire otherwise, to elect a Parliament with a strong leader with an absolute majority which does not rely on terrorists and ex-terrorists. You are right .we must abolish executive presidency. People in this country will request all the Ministers, MPs to publish their wealth and income statements. To be publish in every 2 years and all the details to be publish in newspapers and media. This MP shown significant change of his wealth after becoming a minister. There are several like this. Declaration of wealth is already there in Law. But whether its done methodically, nobody knows. Also where records are kept, top secret, my dear friend. 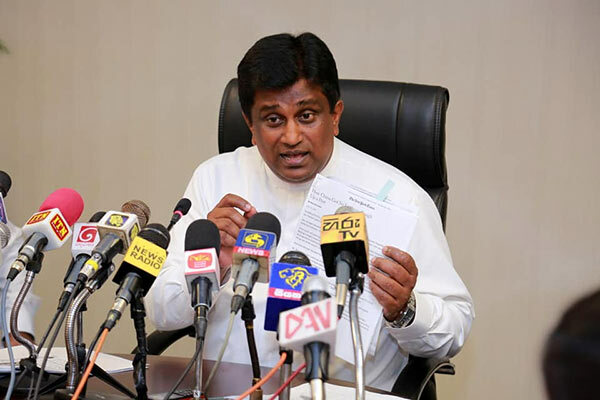 Recently, the wealth declaration of Hon PM, Ranil Wickremasinghe was sought by Transparency International under the RTI Laws; the Presidential Secretariat was instructed to release this information to TI. If you require Mr A Perera’s wealth, request that it be released under RTI. I will soon find out and let you know where the application under RTI should be submitted.